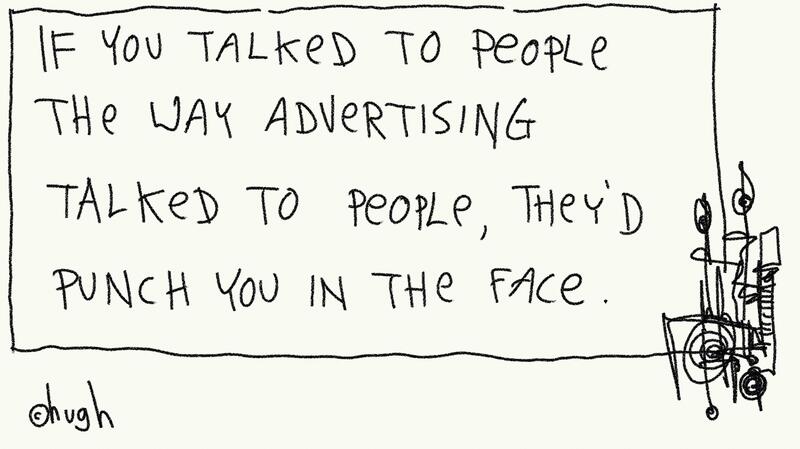 Way back in 2006 the ever prescient Hugh MacLeod scribbled “If you talked to people the way advertising talked to people, they’d punch you in the face”. This truism illustrates the dangers of convergence. ‘Converge’ a one-to-many approach with a personalised situation and you end up with a fight. Why then is advertising deemed to be effective and not result in brands being punched in the face? It works because advertising’s great strength is that no-one takes it personally. In 2009, in an excellent Slideshare presentation, John Willshire proposed the analogy of fireworks and bonfires to differentiate between advertising and social media. He concludes this analogy with the warning “putting fireworks on a bonfire is not a good idea”. Again, the danger of convergence. Yesterday Altimeter Group published a report called The Converged Media Imperative. The basic thrust of this report was that media are converging and that brands need to recognise this and learn how to operate within a converged media space. The types of media that Altimeter said were converging were the Blessed Trinity of Paid, Owned and Earned. Hold on a moment here, it is time to reign in a few assumptions. Assumption number one: Paid, Owned and Earned. As I have previously posted, I don’t think this is a useful definition. I think it is far better to see media as being on a scale that has participatory media at one end and non-participatory media at the other. The approach a brand adopts depends on where on this scale they decide to sit. You can’t be everywhere on this scale with a universal ‘converged’ approach. Assumption number two: forms of media are converging. The only people who are converging media are brand and media owners and agencies for whom this convergence is a convenience that allows them to appropriate social media and export traditional one-to-many mass marketing approaches into the social / participatory space. Consumers are going the other way. There is a huge divergence appearing between the way consumers are using social media and the ways in which brands would like them to use it. That’s the issue brands have to deal with. Assumption number three: Facebook is a form of media. It is not. Facebook, like most other forms of social media, is an infrastructure or even a form of behaviour. It seems to me the challenge for brands is not how to manage the convergence of media, it is quite the opposite. The challenge is how to manage divergence. There are now two very distinct spaces opening up. The first is the space where you talk to everyone and no-one takes it personally. Then there is the space where you talk to individuals, where being personal is essential. The rules of how you operate in these two spaces are completely different. The spaces can hold hands, and they need to talk to each other but crunch them together and you get into difficulties – you either end up with a black eye or you end up wasting a lot of time and money. The management challenge is therefore not so much about how get silos to talk to each other, it is about you keep traditional marketing contained within its appropriate silo while you develop a new set of approaches adapted to encouraging consumers to participate in your brand, rather than participate in your marketing. How then to account for the case studies of successful media convergence that Altimeter highlight at the end of their report. Well, you can use social tools to encourage consumers to participate in traditional campaigns, but you have to be conscious of two things. First, this space where social and traditional can be said to converge is actually tiny – it is not going to become The Space as the ‘everything is headed towards converged media’ argument might suggest. As referred to above, it will be a space that deals only with how you get consumers to participate in your marketing, rather than the much more important space that relates to how you get people to participate in your business. Second, you have to be careful how you measure success in this space. 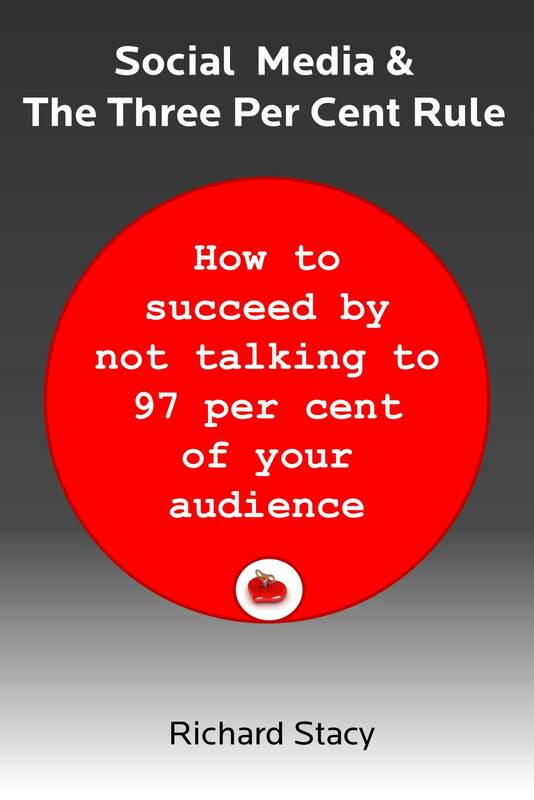 All too often, success is measured as though social media were traditional media – i.e. an increase in Twitter followers or growth of Facebook fan-base is seen as a useful objective in, and of, itself. Or else vague exhortations are made about supposed increases in Amplification, Awareness or the ever popular Engagement. The sad truth is that social hardly ever delivers scale in terms of reach – the numbers, from a reach perspective, rarely add-up compared to the reach you can achieve with traditional media. When we look back on this, in a few years hence, I think we will see that this so-called ‘converged space’ was actually a side-show to the main event. The brands that will emerge as the winners will be those that have learned how to manage divergent approaches and two very different spaces: one is the one-to-many space where you talk to everyone and no-one takes it personally and the other is the space where brands create the permission to talk to their consumers personally (hopefully without getting punched in the face).